A family-run company is set to celebrate three decades in business and an impressive reputation in the world of printing. And the portfolio of customers of Tewkesbury Printing Company reads like a Who’s Who of the business world-insurance groups, banks, public schools, house builders, racing stables and holiday companies-to name but a few. But from its modern, purpose-built centre on Shannon Way, Tewkesbury Business Park the company is just as happy providing its printing services to small enterprises and individuals as well as the multi-nationals. With its comprehensive range of lithographic and digital pre-press, printing and finishing, Tewkesbury Printing Company is capable of doing prints runs from just 50 copies to a quarter of a million. 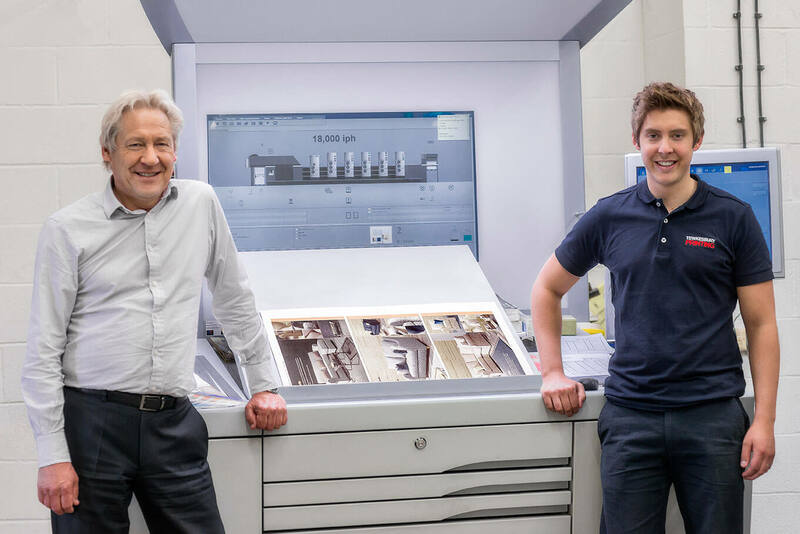 Managing director Peter Siddall founded the business and heads the sales operation whilst his son Andy runs the state-of-the-art printing centre which now operates 24 hours a day. We are approaching our 31st anniversary and we’re delighted to be celebrating three decades in business in Gloucestershire. Some of our customers have been with us for much of that time. We can only attribute this to us providing a quality product with a competitive edge, giving customers a personal and friendly service and always meeting our deadlines. Tewkesbury Printing Company prints a full range of products including books, brochures, leaflets, technical manuals, directories and company reports as well as business stationery. It also provides a mail out service for the completed product. And seated in the first floor office of the company as we browse some of the company’s beautifully finished publications it is clear just how important quality and attention to detail are for Peter and Andy Siddall. Post-recession, marketing is now more and more important and Peter says companies want quality printing to showcase their products and services but at the right price. Tewkesbury Printing Company has three digital presses including the fastest press on the market capable of printing 18,000 sheets an hour, incorporating the latest state of the art German technology together with finishing equipment which gives outstanding results. The impressive computer-controlled “nerve centre” at the heart of the presses means that the quality of printing is never compromised. And camera recognition technology ensures that as each section of a publication is printed it is always in the right order. With plenty of space available to expand its production area, Tewkesbury Printing Company is looking forward to an exciting future.